The 1,700 digital information kiosks scattered around New York City are being used this month to promote a new museum exhibit celebrating the 100th anniversary of the birth of Jackie Robinson. The city’s Department of Information Technology and Telecommunications, which operates the LinkNYC kiosks, is partnering with the Museum of the City of New York to display previously unpublished photographs of Robinson, who broke Major League Baseball’s racial barrier when he joined the Brooklyn Dodgers in 1948. New York started installing the kiosks in 2016, placing them on the locations of antiquated phone booths. The kiosks nominally serve as public Wi-Fi hotspots, USB charging stations, free-to-use telephones and touchscreen directories of city services. Last April, DoITT added real-time bus schedules to the kiosks’ displays, and is now using them to showcase the photography exhibition. The exhibit, “In the Dugout with Jackie Robinson: An Intimate Portrait of a Baseball Legend,” includes 32 photographs of Robinson’s 10-year MLB career and personal life. The pictures were originally shot for Look magazine by photographers Kenneth Eide and Frank Bauman, but never published. 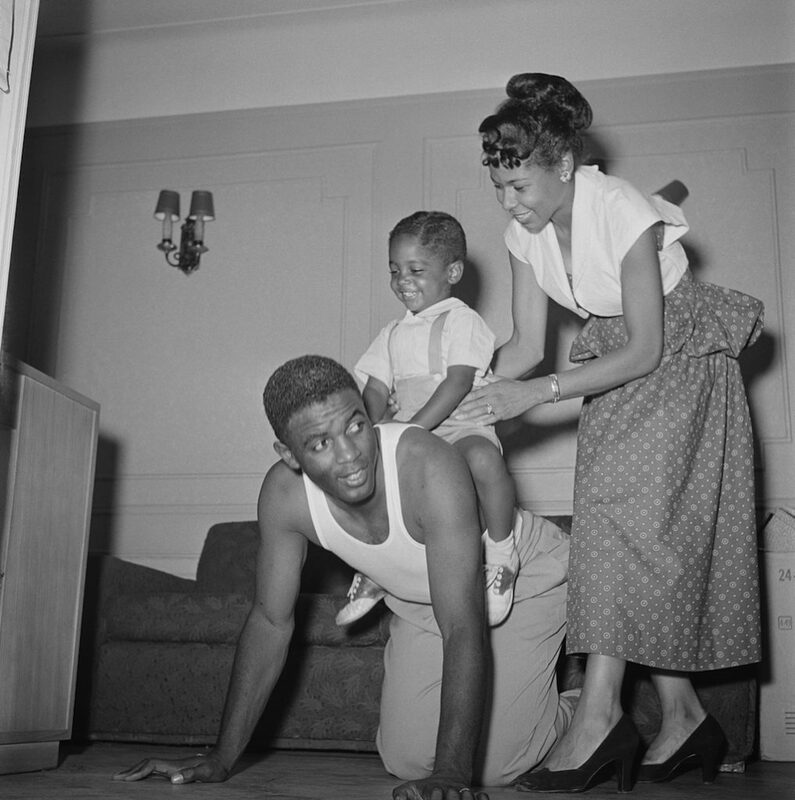 The scenes include Robinson on and off the field at Ebbets Field, in the Dodgers’ clubhouse and at home with his wife, Rachel. While the full exhibit, which also includes memorabilia and the Robinson family’s home movies, is on display at the Museum of the City of New York through Sept. 15, the LinkNYC kiosks will be rotating through the photos until Feb. 28, as part of the city’s commemoration of Black History Month. A museum dedicated to Robinson, who died in 1972, is scheduled to open in December. “What better way to celebrate Robinson’s rich legacy, life and career in New York in a way that everyone walking down the street can enjoy,” Samir Saini, New York’s chief information officer, said in a press release.